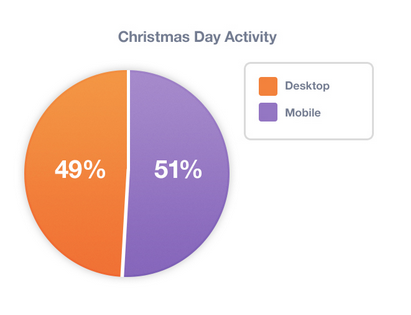 More than half of consumer activity during Christmas day took place on mobile devices, according to a study released today by mobile analytics platform Mixpanel. Based on its analysis of over 695 million actions, the study shows a 11 percent increase the week prior to the holiday. Defining an action as anything from logging into an app, making a purchase, or completing a level in a game, Mixpanel said that 51% of all online activity came from mobile devices, although not by much. But the power of the mobile web and apps is rapidly increasing and has influenced how people consume content. In looking at the week prior, the study found that mobile devices accounted for 40% of all actions, leading Mixpanel to conclude that the holiday generated more traffic than regular days. For those using mobile devices, the study concludes that 98% of all activity that Mixpanel measured came from Android or iOS apps. It estimates that 54% came from iPhone apps with 44% coming from Android. The remaining 2% of mobile activity was through the mobile web. This finding seems to support another report from Flurry Analytics that showed record number of mobile device activations happening on Christmas day. 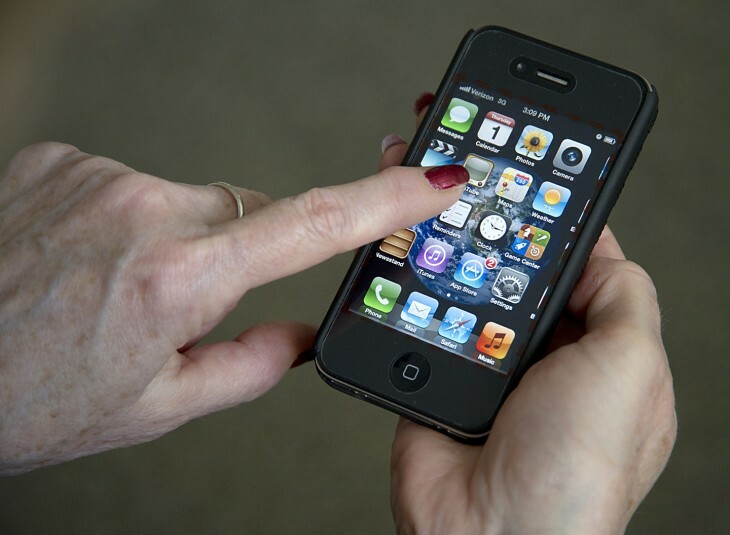 The Apple App store even reported a sharp increase in the number of app downloads this year. With the holiday season being flooded by devices like the Samsung Galaxy S III, the iPad and the iPad mini, the iPhone 5, and all the Google Nexus phones and tablets, it’s no surprise that the app stores are seeing an increase in downloads this season.